At the dawn of a new era, a new age — a new “Babylon” — secret knowledge and wisdom of the greatest empire in history, originally guarded and hidden by the most progressive ruler of western civilization — Nebuchadnezzar II — now stands open to all, freshly recovered and translated from the deserts of Middle East… unearthed beyond time and space from ancient Mesopotamia! The “Sajaha” collection, first relayed to the public in 1991, is in German; which isn’t surprising given the sheer amount of transliterations derived from German expeditions in Babylon—including the famous Maqlu tablet series. This information may have been in possession of the ‘Third Reich’ and its esoteric leadership. It makes predictions about a ‘Third Age’ and ‘New Babylon‘ and other significant elements when considering the plethora of artifacts and historic writings at the disposal of inner party German Nazis during World War II. Connections have also been made to the perception of the cosmic energy (or Universal Agent) known as Vril. …possibly successful at the Vril-7 Level, the “Vril-Odin” current—the flight to Aldebaran — and perhaps those who saw the Vril power, the group investigating such things like those described from visions by the Babylonian seer, Sajaha (see Sajaha 5). The new Mardukite pocket edition of THE LOST BOOK OF SHAYAHA: SEER OF MARDUK (Liber S) features the prophecies, visions and advisement of a great Babylonian seer of MARDUK, writing from the Esagila Temple, the once home of Marduk while on earth. Personal knowledge of Mesopotamian literature and its languages caused me to alarm immediately at the name: SAJAHA. The text is a German transliteration or at best derived from an Arabic source, and without cuneiform sources to work from, origins are impossible to satisfy academia. This tablet series did not appear in my professional career—but many German transliterations have, and they are quite common in Assyriology. SAJAHA—the use of the ‘J’ is not typical of Akkadian-Babylonian cuneiform writing. These writings are allegedly from the time of Nebuchadnezzar II, a time when the Jews and Chaldean Babylonians intermingled. If it is a Semitic derivative, then a ‘Y’ is most appropriate — SAYAHA. For phonetic purposes, ‘S’ in SAYAHA is presumably not spoken “sa”–but “sha”—as the deity name SAMAS is “shammash” — leaving us with SHAYAHA. As you reflect upon the lines of this tablet series, the prophecies and visions most surely conjure vivid imagery to mind, not to mention what the intended audience for them would have been thinking-for they were once the private possession of the Babylonian king of Sajaha’s time, King Nebuchadnezzar II, the successful supporter of a progressive fruitful and benevolent pro-Mardukite era of the Neo-Babylonian Renaissance for nearly half of a century! Moroii ad Vitam Paramus is a modern solitary Living Vampyre tradition drawn from a variety of hereditary Romanian and Italian FamTrads of Europe. The current text, The Vampyre’s Bible, is intended to both: provide resources necessary for personal self-dedication and provide inspiration to celebrate “futurist” Moroi CyberVamp subculture – literature, music, film, fashion style and philosophies (both those influencing and influenced by). In all of history and traditional lore, the MOROI are the only true “Living Vampyres” – Vampyres that have not yet experienced First Death. They are not technically “Undead” – they are Living Undead – and it is from the hereditary perspective (paradigm) of this tradition that JOSHUA FREE presents “The Moroi Book of V: A Vampyre’s Bible” to the public for the first time. Vampyric pursuits, called “Energy Work.” Using innate and practiced skills, a MOROI VAMPYRE cultivates energies and processes them inward to enhance their Etheric Body. The Etheric Body is the part that survives First Death, but it must first be prepared as a proper vehicle to achieve true Ascension. Your Ascension is not imminent – is not guaranteed after First Death. Many “religions” fool their followers into thinking so, as to reinforce artificial dogmas. Ascension allows you to retain your consciousness intact and experience a new Existence due to your a heightened living frequency. The alternative is to be recycled back into this world, forgetting all you have learned – or even become a true Undead after First Death, eternally “wandering” this plane of existence. As a spiritual tradition, MOROII lore refers to the Grigori, an ancient race of Watchers – metaphorically, the stars and planetary bodies that watch over us. The Watchers appear in the lore of all ancient cultures. They have names specific to each language, but representing Planets of this Solar System every time. MOROII dedicate their “mortal” lives to magical and vampyric pursuits, cultivating energy from this Realm and intentionally direct it to their Etheric Body. By empowering the true Self, all that is connected as Identity is empowered. Millenniums ago, the Egyptians mastered this art. However, Chapters from the “Book of the Dead” (Coming Forth By Day) predate dynastic Egypt. The ancient Egyptian attribute its origins to unknown sources existing earlier than their own civilization. Modern Moroii ad Vitam study traditional Vampyrism as described in Vampyre’s Bible: Moroi Book of V. We are interested in the effects of media and subculture on Vampyrism – also how Underworld Vampyrism has influenced the Realm. The most commonly asked questions in emails to the Mardukite Home Office involve: where to begin? and what course of study is suggested? This mardukite necrogate blog post is intended to answer just that! 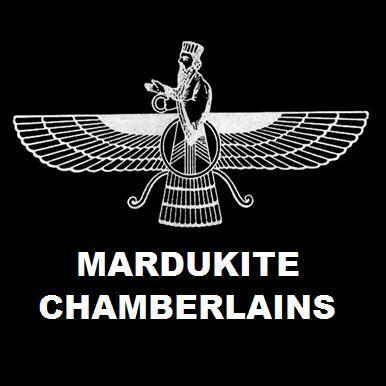 The materials published by the Mardukite Truth Seeker Press chronicle the developments of the Mardukite Research Organization (Mardukite Chamberlains) in their pursuits into uncovering the ancient mysteries of Sumerian and Babylonian cuneiform tablets unearthed from Mesopotamia (the modern day Middle East). Although available in individual stand-alone editions, the work of the Mardukite Chamberlains is now available in newly devised deluxe economical mardukite.com editions of the classic underground bestselling annual anthologies! Representing the same chronological order of research and discovery undertaken by the Mardukite Chamberlains team, each progressive anthology makes for the perfect order of study and impressive collection. The Year-1 NECRONOMICON ANUNNAKI BIBLE, Year-2 GATES OF THE NECRONOMICON and Year-3 NECRONOMICON GRIMOIRE have never been more accessible, readable and affordable than in their latest archival editions! The Year-1 NECRONOMICON ANUNNAKI BIBLE is now available in its much anticipated definitive 5th Anniversary revised and expanded 6th edition and is the primary source book of the Mardukite Chamberlains Research Organization uncovered from their first active year of research and development in 2009! It is the place to start for everyone interested in our work. The ‘Necronomicon Anunnaki Bible‘ is a masterpiece of Mesopotamian mysteries, providing the most complete collection of Sumerian and Babylonian knowledge of human history and the development of civilization in one book, composing in itself a bible. Our Year-2 GATES OF THE NECRONOMICON anthology contains some of the most critically acclaimed and widely circulated materials from the Mardukite Research Organization, now available in one volume! ‘Gates of the Necronomicon‘ is a highly innovative and accessible anthology featuring the the complete text from three installments: “Sumerian Religion: Secrets of the Anunnaki & The Origins of Babylon,” “Sumerian Religion II: Secrets of the Anunnaki in Babylonian Mythology” and “Necronomicon Revelations” in the incredible 3rd edition of the original companion volume the ‘Necronomicon Anunnaki Bible‘, developed by the Mardukite Chamberlains from their second active year of research in 2010. The NECRONOMICON GRIMOIRE is a matching newly released economical edition of the Mardukite Year-3 Anthology previously available as “Necronomicon Workbook” and “Mesopotamian Magic.” The ‘Necronomicon Grimoire’ compilation includes the full text from three books: “Magan Magic“, “Maqlu Magic” and “Beyond the Ishtar Gate” — simultaneously released as the “Necronomicon Spellbook” trilogy series edited by Joshua Free. This mystical masterpiece explores the heart of ancient Mesopotamian Mysteries, providing a complete and practical companion to the Mardukite Core “Necronomicon Anunnaki Cycle”, illuminating revolutionary teachings and source materials of the modern Mardukite Chamberlains research and development. Materials published by the Mardukite Truth Seeker Press represent a new foundation of thought for the next generation, a progressive Stairway to Heaven and the actualization of the Self that has been embedded — hidden — within the very basis of existence and the most ancient wisdom teachings on the planet Earth. This effort is commemorated with the special release of THE GATEKEEPERS GUIDE TO THE MATERIALS & CHAMBERLAINS CHRONICLES (2008-2013 MEMOIR EDITION). This amazing oversized economical printing is a 178 page fully illustrated companion that reads like a diary accounting for a public record of five years research and development online through the necrogate blog and mardukite.com, over three hundred YouTube videos, countless radio interviews and appearances through journeys stretching from the west coast to the east, there and back again and revealed to all in this gratuitous mardukite.com online exclusive! The seven tablets of creation are the basis for material reality as programmed for receipt by the most antiquated human “societal” civilization on the planet: in Mesopotamia. Surpassing even this, the seven-fold structure observed in ancient Babylon went on to serve as the archetypal basis for correspondences relevant to cultural-systems emerging since! The lore that gave Babylon its name – the Gates – went on to form a systematic understanding of the world that both commoner and esoteric practitioner still operate under the spell of in present day. The division of the ‘visual spectrum’ of color, the ‘audible’ range of ‘notes of music’, the methodology of the seven original ‘sacred cities’ in Mesopotamia (thought to be space-ports by some scholars), the ordering of the ‘rays’, ‘levels’ or ‘days’ of creation/manifestation and above all the ‘ritual’ or ‘ceremonial’ observation of some representative of the whole thing; later seen in the ‘seven-stepped’ ziggurats of Babylon, the religious observation of a ‘seven-stepped’ ladder of lights or stairway to heaven… the list of corresponding ‘sevens’ is seemingly endless. Examining the Enuma Elis closely, it is clear that the ‘spirito-political’ purpose behind its account for these things entirely concern the ‘usurpation’ of these powers under Marduk, allowing the young ‘King of the Gods’ to be responsible for the ‘ordering’ of the physical universe as it came to be perceived by the evolving race; a race first bred as a superior work animal then upgraded yet again by Enki for the modern design existing today. In addition to the seven divine decrees used by the priest-magicians in the tradition, another ‘element’ comes into play, alluded to in the Enuma Elis and throughout Anunnaki lore: the Tablets of Destiny. Significant ‘debate’ exists among scholars and academicians about the ‘historical’ and ‘literary’ validity of these “tablets”. It is hard to determine from most ‘records’ if they are indeed literary tablets themselves or something else altogether with a more ‘functional’ (technological) purpose. The control of the ‘gate-system’ among various members of the Anunnaki pantheon appears to have been connected to the control of these ‘tablets’ – a key to activating the ‘reality-system’ of the material world, perhaps. As a literal work, the Tablets of Destiny are synonymous with the ‘secret of the gods’ by their own tongue or else, by Judeo-Christian standards, the Book of Life. Although the Sumerians and later Babylo-Akkadians had a clear distinction between the two, those such as Budge translated the term originally to mean Tablets of Fate – though we now ‘fate’ and ‘destiny’ are in essence two different things. Fate is actually what gives humans, or any sentient life-form, the ‘illusion’ of freewill in this existence. It is a part of the ‘problem-solving’ and ‘experiential’ aspect of the psyche; in essence, how one learns. But, what is not so clearly understood is that the ‘scenery’ in which one is made to ‘decide fate’ is not so self-determined, nor the personality program in operation at that time which will inevitably make the ‘destined’ choice. The Tablets of Destiny dictate that all material existence is actually ‘predestined’ following a ‘program’ that has been ‘encoded’ into not only the background of reality, but every ‘observed perspective’ maintained within that reality. Conclusively, the Tablets of Destiny include the information by which ‘reality’ was programmed by the Anunnaki and the means by which they were able to ‘manifest’ a material world for their own existence (experience). The ‘program’ of all life is said to be recorded thereupon in one version. In another, the tablets are almost synchronous with the Akashic Records, containing a ‘quantum’ or ‘light’ record of all existences in unified wholeness – All-as-One!